This post and recipe were created for #EasterSweetsWeek. I was sent samples by some of the sponsor companies but as always, opinions are 100% mine. You’ll hear plenty of “oohs” and “aahs” when you serve this Broken Glass Jello. 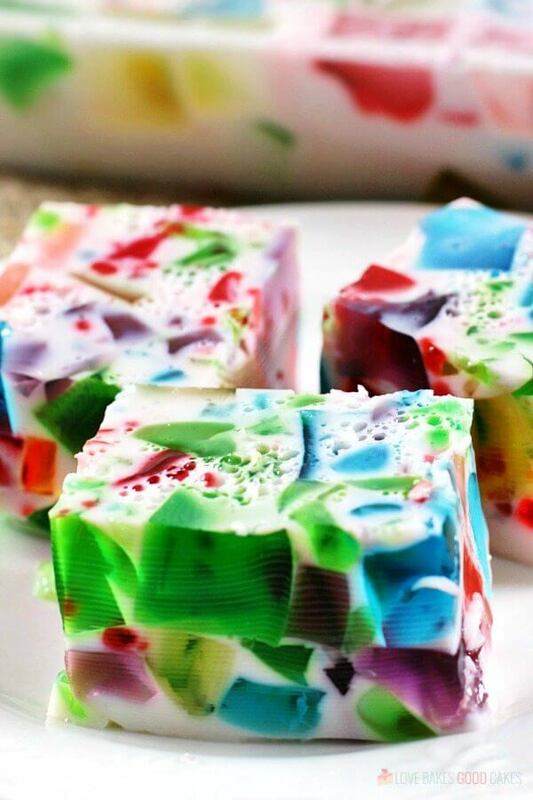 It’s a fun and colorful treat for kids … and kids at heart! 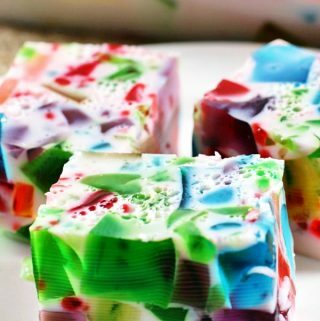 I have wanted to share this Broken Glass Jello recipe with you guys for sooo long! It seems like every time I had this on my calendar to share, something would happen and I would never get around to making it. I’m so glad that today is the day!! This is such a fun recipe to take to potlucks – and it’s especially fun as an addition to the Easter dessert table. Kids love it – and those of us who are kids at heart love it too! Even though it looks complicated, I assure you this Broken Glass Jello is super simple to put together. 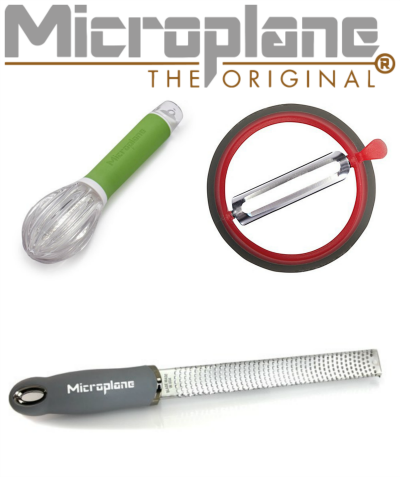 You will need to account for the time needed for the Jello to set up, but really, that is the hardest part! 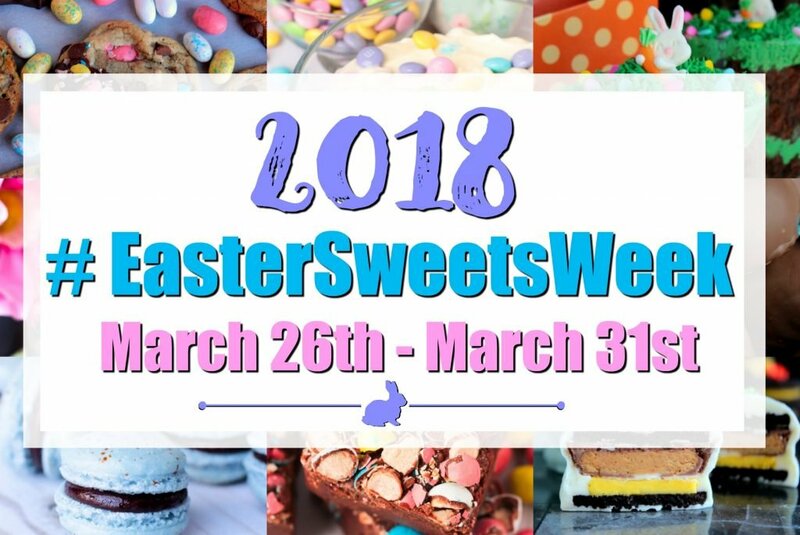 If you saw yesterday’s Jello Divinity post, then you know that I’m excited to be a part of this year’s #EasterSweetWeek event hosted by Angie from Big Bear’s Wife. We’re so glad that you’ve joined us for this week-long event of Springtime and Easter dessert recipes! 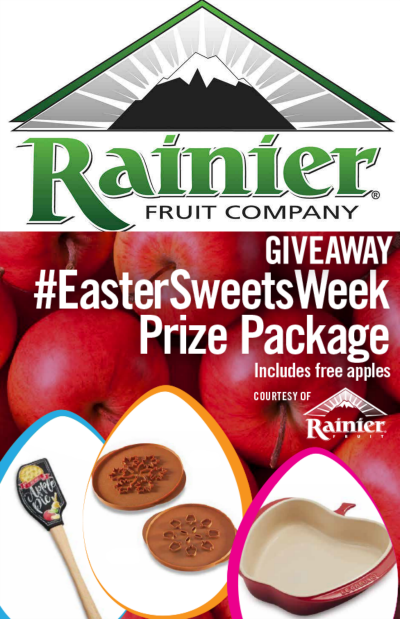 We’re sharing tons of treats this week plus a few fantastic giveaways! You’re going to love what we have in store for you. You'll hear plenty of "oohs" and "aahs" when you serve this Broken Glass Jello. 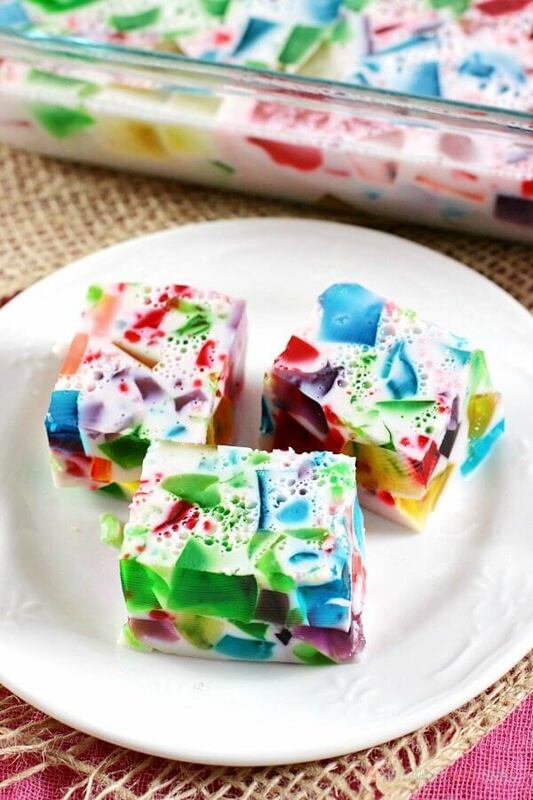 It's a fun and colorful treat for kids ... and kids at heart! Using 1 cup of boiling water per box of Jello, dissolve each flavor separately, whisking until completely dissolved. Pour each flavor into individual containers and chill at least 4 hours or overnight. 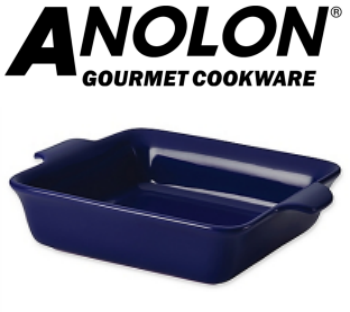 Once the Jello is set, cut each flavor into small cubes and place together in a glass 9×13 pan. 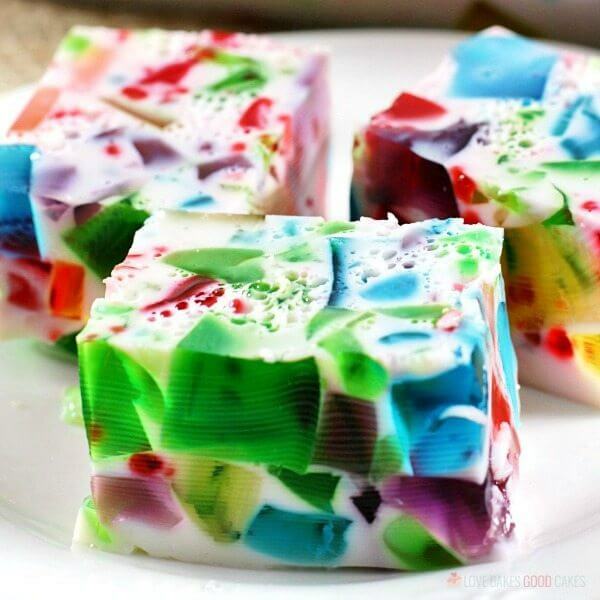 Carefully mix the Jello cubes. In a separate bowl, dissolve both envelopes of unflavored gelatin in 2 cups hot water. Let cool slightly and stir in the sweetened condensed milk. 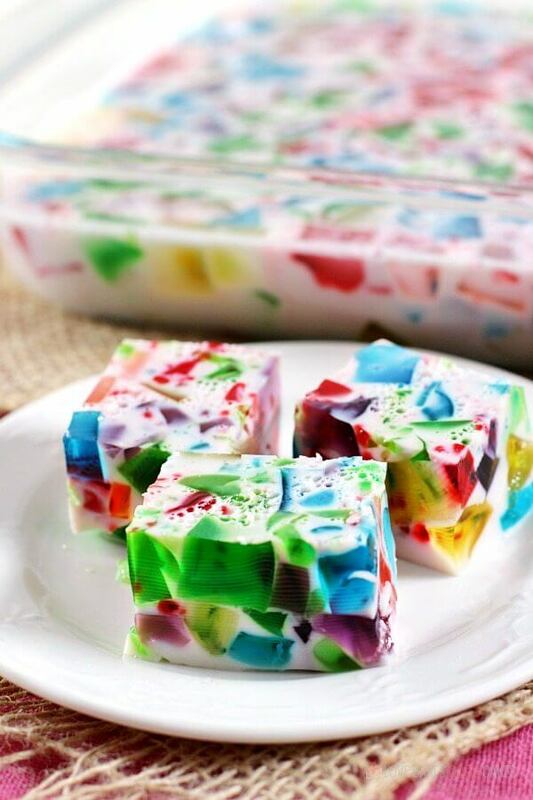 Cool to touch and pour the cooled milk mixture over the Jello cubes and chill overnight. This is a fun recipe for any holiday! For the 4th of July, use red and blue Jello. For Christmas, use red and green Jello. We have 28 fantastic bloggers participating in this year’s Easter dessert event! Throughout the week we’ll be share tons of great Springtime and Easter themed dessert recipes with you. With over 75 sweet dessert recipes being shared this week, we just know that you’re going to want to save some of these recipes to make again and again! We even hope that some of these recipes end up in your Easter recipe keepsake collection! 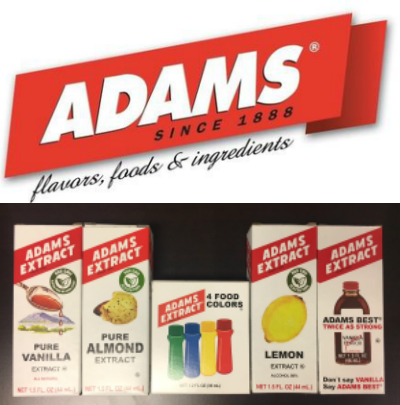 Plus, don’t forget that we have 5 (five) great giveaways for you this week thanks to our amazing sponsors! I have not had this since I was a child and I loved it! Great memories!